Image: mage: Prathan Chorruangsak/EyeEm/Getty Images. Design: Ashley Britton/SheKnows. When the news broke about the college admissions cheating scandals, I laughed at the ridiculousness of it all. 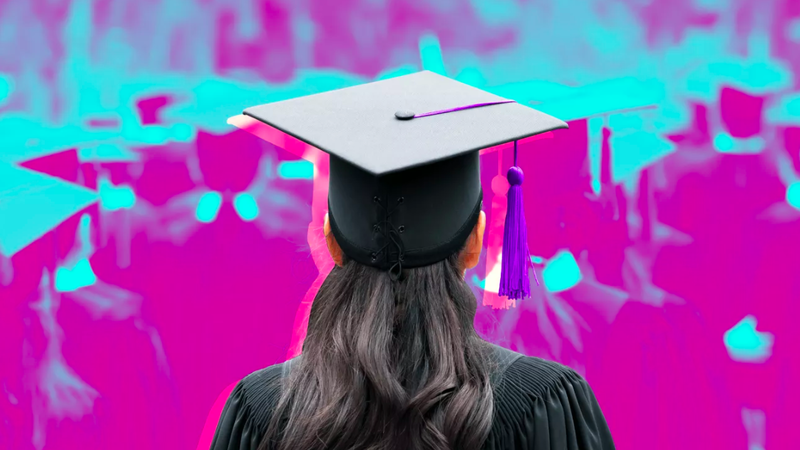 Then, it hit me that there is a possibility other parents like Felicity Huffman, Lori Loughlin, and the others haven’t been caught yet — and are still “competing” for the same few college admission slots. AKA the same few slots my own daughter is now pursuing. I realized that — and I quit laughing. After all, I’m just a regular (non-celeb, non-billionaire) mom, and I’m still spending thousands of dollars to make sure my kid gets into college. Hold up, though: I’m not bribing or cheating. I promise. As desperate as I may sometimes feel in helping my daughter reach her goals, I’d like to believe that even if I possessed the wealth of these Hollywood stars, I wouldn’t follow their footsteps and hire someone to take a college entrance exam for my kid. My daughter’s SAT results? They’re all on her. Me, I’m just draining my personal bank account hauling us back and forth across the country so my daughter can compete in sports tournaments — and potentially catch the eye of a college coach or recruiter. It’s a costly process, but our family is committed to doing just about whatever it takes for my daughter to go to a college that she loves, where she can play volleyball while also pursuing her chosen field of study. It’s her dream — so in a way, it’s ours too. You see, my daughter’s athletic training involves playing competitive volleyball with a club. Kids try out for one of 12 spots on each club team, and then their parents try to figure out how to pay the club’s tuition for the six-month-long season. At the first club where my daughter played, I scrubbed toilets to offset the cost of tuition. For another volleyball club’s fundraiser, we spent a few Sundays selling beer and hotdogs at the Denver Broncos games. Even with that assistance, I estimate that I spend between five and eight thousand dollars a year for my daughter’s club fees, training, traveling to cities nationwide, and of course Arby’s drive-thru after every single local tournament. It’s a huge financial strain on our middle-class family. But I keep paying it, because my daughter really wants to play college volleyball. And when an injury benched her for six months, she realized she wants to study sports medicine, too. 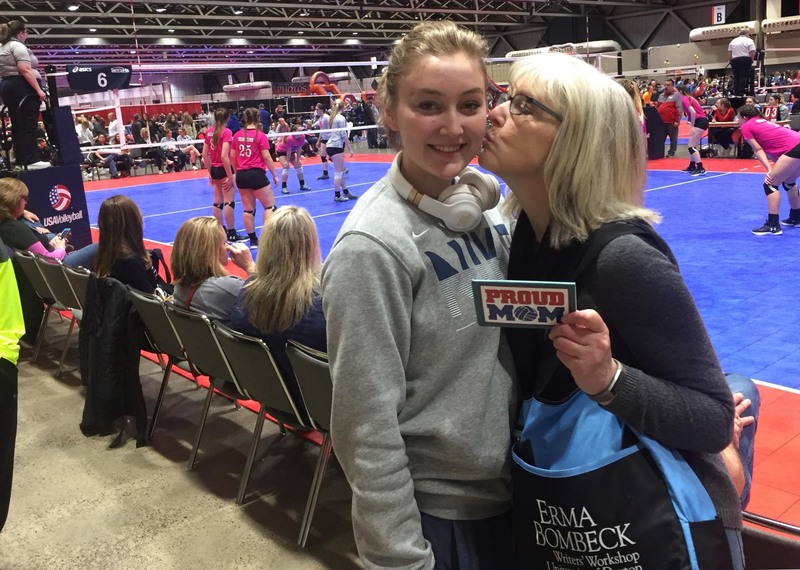 My daughter’s volleyball tournaments aren’t cheap, but they’re where she meets coaches who can watch her play in person and who might express an interest in having her join their college teams. For this opportunity alone, I’ll keep draining that bank account. Of course, I realize that my family is privileged to even have a bank account to drain — to have the opportunity to afford (barely) all the expenses of club teams, trainers, team uniforms with matching backpacks and specialized court shoes, an occasional physical therapist and orthopedic surgeon, airfare, hotels, and all-you-can eat breakfast buffets. But it has come with sacrifices. While friends are posting pictures of their newly repaired or remodeled bathrooms, I’m slicing apples on a Formica countertop from 1970 and walking on faded decades-old linoleum tile. My daughter and I share a hail-damaged, high–mileage Chevy that definitely needs a tune-up, which it will get after I make the last of this season’s volleyball club payments. For now, our little red sedan is getting her to high school and practices and me to my job. And what about other families less fortunate than us? The families without even a dingy Chevy to haul their kids around? What chance do they have to get their kids into college? In this day and age — and country — the odds are completely unfair. And we all know that rich parents who are cheating the already-unfair college admissions system are doing us all damage. At the last tournament, I did consider approaching the coaches — lingering on the sidelines, trying to make a deal. They could name whatever it would take for her to attend their university, play on their team, and earn her dream degree. I was ready to sell my soul. But my inner voice stopped me — directed me to merely smile at them and keep such outlandish thoughts to myself. This is not about money; it’s about skill. And it’s not about me; it’s about my daughter. It’s always up to her to email coaches videos of game highlights and express her interest in their particular college. Although the $5-8K we’re spending to allow my daughter to compete in sports is astronomical to us, I know that kind of money is nothing to the Hollywood parents who are throwing so much more away on bribes. And if someday my kid, like that oh-so problematic Olivia Jade, takes some other kid’s place at a university, it will be because of her skills and her honest, hard work — not her money. And I’m okay with that. Our only goal is that my daughter’s grades, athletic abilities, and attitude will rightfully earn her a spot in her dream school. And if some other talented kid takes the place my daughter really wanted? That, although disappointing, would be okay too — as long as the kid, the coach, the parents, and the admissions board are playing fair. Should my daughter choose to attend a college with her degree program and not be able to be play volleyball, we’ll support and celebrate her decision. She has grown so much through this experience and struggle, as have I. Our mother/daughter bonding times are priceless — from the heartfelt conversations we have during foggy, predawn drives for early matches to the tight hugs we share when the games end, win or lose. And should her chosen degree program line up with her being able to play college volleyball on top of it, that’ll be cause for celebration, too. If that day comes and she gets such an offer, we’re set to make a deal — yes, the non-scandalous kind — with the coach and with the admissions board. The deal is this: If admitted to a college program, my daughter will commit to showing up to classes, to practices, and to game days ready to learn, improve, and play her heart out. As for me, I’ll cheer for her as I always have — and give what I am able, even if it means puttering around in the same old car for some more years. And if a college offer comes with an athletic or academic scholarship attached to it? Well, then she’ll get to drive my old car off to college — and I’ll get to shop for a newer model. It’s only fair.